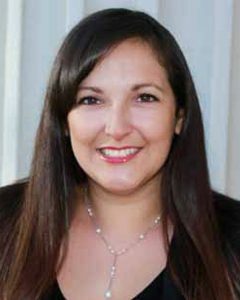 Bilingual in Spanish and English, attorney Natalie C. Gomez is an experienced lawyer who is distinctively qualified to represent clients in criminal defense and family law matters. She has provided financially efficient and high quality legal representation to all clients. Natalie passionately advocates for her client’s interests and rights during all phases of a case in order to achieve a fair and just outcome. Natalie completed her law degree from Santa Clara University School of Law in 2011. She was also recognized by the SCU School of Law as a Public Interest and Social Justice Law Scholar with Special Emphasis in Criminal Justice. Prior to earning her J.D., she received a Bachelor of Arts in Legal Studies and a Bachelor of Arts in Political Science at the University of California, Berkeley. Before founding Gomez Edwards Law Group, LLP with her law partner and friend, Lauren Edwards, Natalie practiced criminal defense and family law at another firm located in Santa Clara. Natalie’s family law experience began in 2003, prior to graduation from undergraduate school and law school when she worked as a legal assistant and law clerk for the family law division at Ropers, Majeski, Kohn & Bentley in San Jose, CA up until admission into law school. After graduating law school, Natalie was a law clerk at Greenstein & McDonald in San Francisco, CA. She then worked as a family law and criminal defense associate in Santa Clara, CA up until 2015. This combination of experience has allowed Natalie to supplement her skills by appearing at highly contested law and motion hearings/trials, attending depositions, attending mediations and guiding parties to reach settlement agreements. Natalie grew up in San Jose, CA and loved going to Raging Waters as a kid. In her spare time, she enjoys traveling, spending time with family, finding great restaurants for a foodie experience, and last but not least, cuddling her American Cocker Spaniel puppy, Remy (the gentle and nosy office guard pup). Do not include any confidential information in this form. This form sends information by non-encrypted e-mail which is not secure. Submitting this form does not create an attorney-client relationship.